Have a new Indianapolis Web Development project that you are ready to get started? 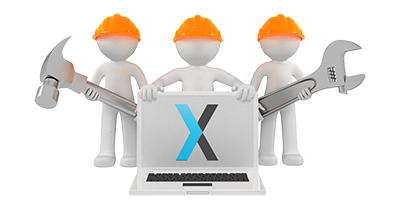 Here at NEXTFLY, we have a team of developers ready to help you build out your idea. We have the perfect combination of programmers, front-end coders, server specialists, and QA testers to be sure your development project is done right the first time and bug free. Our typical offering is Custom WordPress development, but we do not stop there. We have a large portfolio of custom web applications, custom plugins/modules, and 100% static PHP/MySQL build-outs. The most important step, and unfortunately, the most skipped is web design planning. All too often web development companies around town will take on a project that they did not thoroughly plan out. Without the proper planning, these developers now run into a constant flux of challenges/issues, which would not only delay the project, but usually force and end to the project before completion. In worst-case scenarios, the web development company just disappears, and leaves the client with nothing. At NEXTFLY, we take the time to plan out the project, align all of your needs with development/design requirements, to ensure we can deliver exactly what you want. Now that we have successfully planned out the development project, its timelines, project costs, and we have come to an agreement on terms, it is time to move on to the next stage: breaking ground. Our project team will work through design + usability wireframes/mockups while also working with the development team to be sure we are working in the confines of the Content Management Systems (CMS) abilities AND the project module requirements. We like to build our projects on Content Management Systems to ensure you can make updates to your site easily. It is not necessary to have a web designer or web developer change a few paragraphs of text or swap out pictures. That can easily be managed by you, not only to cut costs, but also to save time without the hassle of shuttling information back and forth. We have your site out of development and now it’s time to run it through rigorous testing to be sure all areas of the new application are functioning as planned. We will test it thoroughly in-house, then have you do testing with us. We will continue to work through bugs until it’s ready to launch! Social Media: Integrating, rather than just linking, to your social media make it easier for your visitors to connect with you. The easier we can make this interaction, the more followers and engagement you will see. What better way than right on your own site! eCommerce: Whether selling through your own store, or just accepting invoice payments through your site, we can get you connected. We typically support Paypal/Authorize.net as payment gateways, real-time shipping API integration, sales tax setup, and much more. Third Party Programs: Newsletter support (MailChimp, Constant Contact, etc), your Customer Relationship Management program (Salesforce, Highrise, etc. ), or any other current system you would like to integrate. As long as it’s possible, we will connect the dots for you. Ready to talk about that new web development project of yours? Contact us right away and let’s start collaborating on how to make your idea a working reality!